Ahhhh, the air is fresh and cool, the leaves are lining the streets, skeletons haunt local shoppes, the sweet smell of death and decay is in the air… it must be Fall! Nothing gets me in the Hallowe’en spirit quite like sipping cocoa, baking a pumpkin pie and binge-watching horror films. Can’t decide which films are best suited to your viewing needs? Want some inspiration? Need a little ghostly guidance? Read on, dear spookster, for a guide to some Hallowe’en classics and cult favourites. 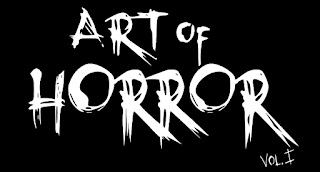 I've even sacrificed a few "family friendly" picks for your ghastly viewing pleasures- but first, bring on the gore! Okay, so this is an obvious one. Starting in 1978, Michael Myers scared the wits outta us when he hit the streets of Haddonfield and began his ritualistic butchering of babysitters. The franchise kept going, and gets stranger, with many sequels and a re-imagining by Rob Zombie. 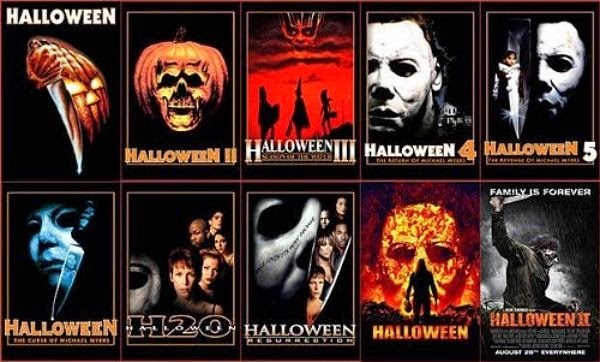 Of course, some of the flicks are more enjoyable (or cheesier) than others- and some are a horse of a different colour entirely (Halloween III, anyone?). Therefore, I recommend picking and choosing your Halloween delights. My personal picks are the very first film, as it starts us off and drags us kicking and screaming into the world of Michael Myers. Following that, the sequel (Halloween II) is wonderful as it continues on the same night but shifts focus to the hospital where a terrified Laurie Strode is trying to rest up after her run-in with her deranged brother. Skip ahead a little and sink your teeth into Halloween 6: The Curse of Michael Myers. This is one of my favourite Halloween flicks, as it not only delivers some primo Michael backstory but we revisit little Tommy Doyle (portrayed by Paul Rudd- a personal favourite) as a paranoid, but prepared adult sitting in wait for Michael’s return. Finally, I can never downplay my enthusiasm for Halloween H20. Twenty years later, we find Laurie Strode hiding out as a private school teacher and guess whose son has just turned seventeen? Of course, this milestone birthday brings Unkie Mike out of semi-retirement and puts the young Mr. Strode on the top of Michael’s “to-kill” list. This also marks the return of Jamie Lee Curtis to the franchise for the first time since Halloween II. This is Hallowe’en? Well, yeah, it is. Not only is the holiday named in the title of the film franchise, all the films take place on this special night. Can’t get much more festive than that! This fun little anthology romp takes place on Hallowe’en and tells several stories of murder, mayhem and madness! Bag-faced Sam’s story frames this film and he pops up throughout the other stories, mainly as a background observer. I fully admit that when the film started and the opening credits began to roll, I had a serious case of the creeps. However, I came to find that the film is more fun than scary and stands as a cute, cautionary tale of proper Hallowe’en etiquette (play nice, don’t smash pumpkins, don’t talk to strangers). This is Hallowe’en? Much like the Halloween franchise, this film takes place on Hallowe’en night and all the events are depicted as unfolding simultaneously. This lends an interesting air and allows for some funky plot intersections when characters pop up in another story (especially when you know that they shall soon meet their own untimely end). There is something utterly bewitching about this quirky Canadian horror flick. Strange sisters Ginger and Bridgitte are outcasts in their suburban town of Bailey Downs. When a vicious creature begins to stalk prey in the night, the girls accidentally find themselves face-to-furry-face with “The Beast of Bailey Downs”- who turns out to be a snap-happy werewolf. The girls escape the ferocious beast, but not before poor Ginger is bitten. The film centres on Ginger’s transformation as it compares to a young woman’s experience of puberty. Strange, witty and wild, Ginger Snaps gives us a new take on an old tale. This is Hallowe’en? One of my favourite things about this film is the depiction of the fictional town of Bailey Downs. The film opens in the Fall and as Hallowe’en rapidly approaches, Ginger’s transformation nears its end. The films finale takes place on Hallowe’en night when Ginger attends a costume party as her lycanthropic self. What happens when you mix Cary Grant, merry murderesses and Hallowe’en night? 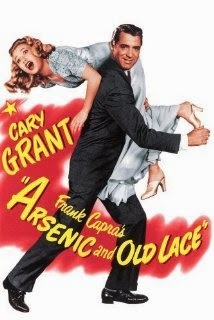 Well, you get Arsenic and Old Lace! Cary Grant plays Mortimer Brewster, a newly wedded groom who discovers that his kindly old aunts have a few skeletons in their closets... literally. As part of their charitable work, the Brewster women poison lonely old men. Springing from the best intentions, these women have accumulated an impressive body count- and Mortimer is stuck in the middle trying to prevent his new wife from finding out their dark family secret. When a creepy lodger shows up with his Frankenstein look-alike companion, horrific havoc ensues! This is Hallowe’en? 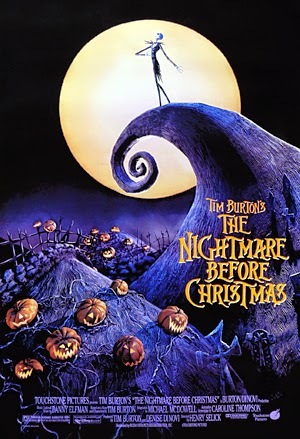 The entire film takes place on Hallowe’en. Mortimer keeps pondering all possible implications of getting married on Hallowe’en and the entrance of the Frankenstein-type character seems all the more commonplace given the date. Though it is a rather comedic film, the content is dark and the humour is darker. One part dark comedy, one part horror, this fun film is sure to offer laughs and frights to first-time watchers. Anton is a lazy stoner who is woefully unaware of his surroundings. When his hand is possessed by an evil and murderous force, it is all he can do to get off the couch and try to set things right. With the help of his undead best friends freshly murdered by his own hand, it is up to Anton to save the girl and the world from his own idle hand. Featuring a horde of young talent, Idle Hands is a dated choice, but one that is enjoyable to revisit. This is Hallowe’en? The final battle of arms (okay, hands) takes place at the Hallowe’en dance at the high school. No one bats an eye when Anton’s undead friends show up covered in gore. And what better night to save the world from demonic possession than All Hallow’s Eve?? A Hallowe’en classic, Hocus Pocus tells the magical tale of three witches resurrected on Hallowe’en night. Though the film is family friendly, there are some truly frightening scenes and images. As a youngin, seeing a boy transformed into a cat by child-murdering witches kinda spooked me. But it is at its core a Disney film and all in good fun, so get your giggle on with your kidlets and enjoy this cute, witchy flick. Rewatching it as an adult reminded of its appeal (though certainly shows its age regarding clothing and street slang). Besides, Winifred Sanderson’s rendition of “I Put a Spell on You” is still one of my very favourites. This is Hallowe’en? 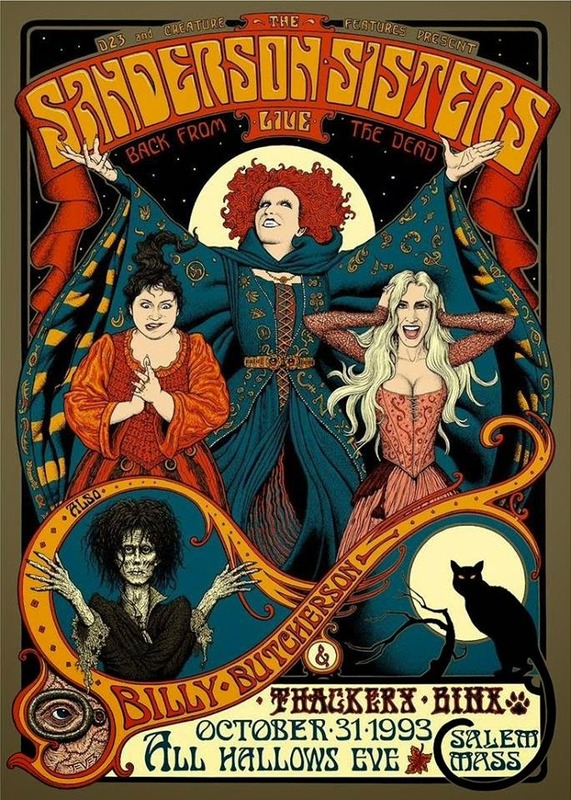 Hocus Pocus is a Hallowe’en staple! It takes place on Hallowe’en, as only a virgin lighting the candle on Hallowe’en night may resurrect the witches. 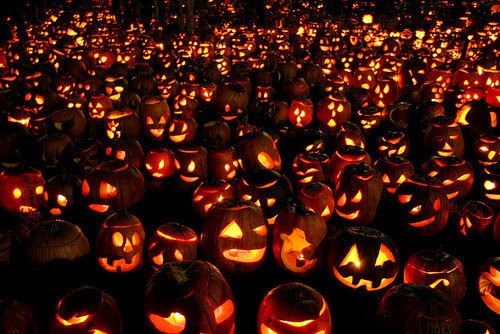 There are Hallowe’en parties, trick-r-treaters, black cats, haunted houses and many things that go bump in the night! But don’t worry, it’s all just a bunch of hocus pocus. 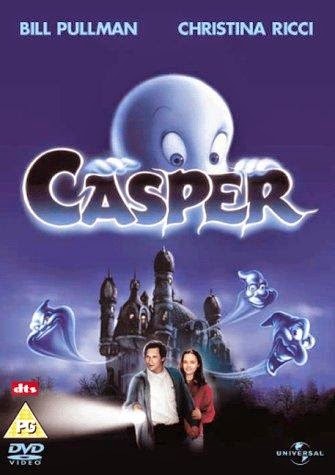 Classic ghostly cartoon turned feature film, Casper is all about a misfit ghost who can’t seem to get the hang of scaring the living. When fellow outcast (and former Wednesday Addams) Kat and her father move into Casper’s haunted mansion, the fun really begins. This is a lovely film for any child (or adult) who has ever felt ostracized. It is a story of friendship, family and acceptance- all wrapped in a spooky package. A delight for young and old. Okay, so this film can fall under Hallowe’en or Christmas, but it definitely deserves a mention. Jack, the pumpkin king, has grown tired of Halloweentown and goes in search of something different… something new… He discovers Christmastown and decides to try to bring a new holiday to his old home. Of course, chaos ensues and we learn an important lesson about love, friendship and acceptance. However, we also get a wicked selection of fabulous Hallowe’en songs and costume inspiration for years to come. Besides, who doesn’t love a good holiday clash? This is Hallowe’en? The film opens on Hallowe’en and for the most, it takes place in Halloweentown. That being said, it also focuses heavily on Christmas and ends on Christmas eve. However, it features the song “This is Hallowe’en” so it is entirely relevant forever. FOREVER. 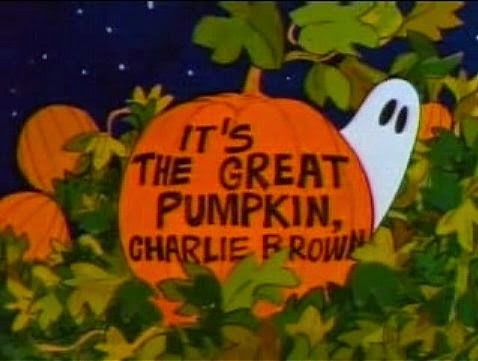 The Peanuts Gang take on Hallowe’en in this animated classic and we learn all about the Great Pumpkin. 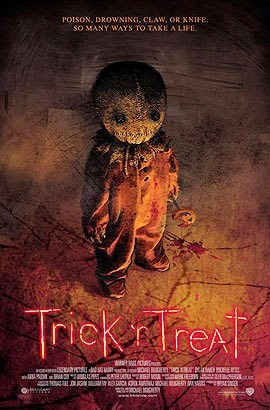 A fun and tame Hallowe’en tale, this flick has become a Hallowe’en staple for kids and adults alike. Despite its age, the film’s messages are still culturally relevant- and each year, inspires a whole new generation to believe in the Great Pumpkin. This is Hallowe’en? It takes place on Hallowe’en and follows the gang on their festive adventures. From trick-r-treating to pumpkin carving, from costume making to young love (and heartbreak) in the pumpkin patch, this film is quintessential Hallowe’en viewing. So tell me, just how sincere is your pumpkin patch? Happy Hallowe’en, ghouls and goblins! I hope these recommendations have inspired some horrific Hallowe’en entertainment… or perhaps has got you thinking about YOUR favourite Hallowe-en-themed films! Share with us what gets your heart-rate up at this spooky time of year. And safe and happy hauntings to you all!